Last Post 04 Apr 2019 08:23 AM by factory boy. 4 Replies. Very sad news I'm afraid, well known Surrey Bottle Club Member and London Bottle Collector Lou Squillaci passed away in his sleep last night. 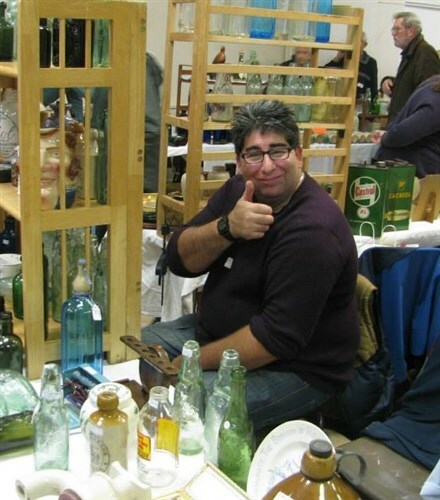 Lou was well known around bottle shows throughout the country as a big collector of London items and all things Bottles. He also stalled regularly at the BBR National and AB's regular Elsecar shows. In the last few years he also had a regular pitch at Kempton. Lou was heavily involved in all aspects of the ' bottle ' world and was a true " Collectors " Collector. Very sad news Ross, Always enjoyed a chat with Lou at the shows really nice chap , will be missed. Dave B. Familiar face at the shows. I remember his face from Elsecar, I didn’t know though. RIP Lou, and condolences to his friends and family. One of our own. Very sad news. Condolences to the family RIP Lou.